FamilyFarmed’s 8th annual Good Food Financing & Innovation Conference — to be held next Tuesday (June 19) in Chicago — is the Midwest’s premier business and investment event focused on local and sustainable food. It provides a unique opportunity for investors, lenders, business executives and corporate innovators to connect with some of the Midwest’s most promising entrepreneurial companies. And as usual, the Financing Fair is the heart of the Conference’s entrepreneurial programming. A total of 39 companies, listed below, will participate in this year’s Financing Fair. Of them, 27 are start-up and early stage food businesses; 12 are providers of services helpful to small businesses. The Financing Fair will follow other entrepreneur-focused programming at the Conference, including the juried business Pitch Slam, the Audience Choice Video Pitch competition, and the Good Food Accelerator (GFA) Showcase (featuring alumni of Family Farmed’s entrepreneur development program). Financing Fair participants who also are part of these other segments are noted parenthetically below. The Good Food Financing & Innovation Conference will begin at 9 a.m. and will take place at the Morgan Manufacturing event space in Chicago’s West Loop. For more information and buy tickets, visit www.goodfoodfinancing.org. BareItAll Petfoods: Environmentally friendly pet products made with Asian carp, an invasive species. Cocoa Corp: Organically enriched compost-fertilizer products that restore organic matter and valuable nutrients back into the earth to build healthier soil. Grani’s Farm: Small, sustainable, seasonal, chemical-free family farm located in Fairbury in east-central Illinois. 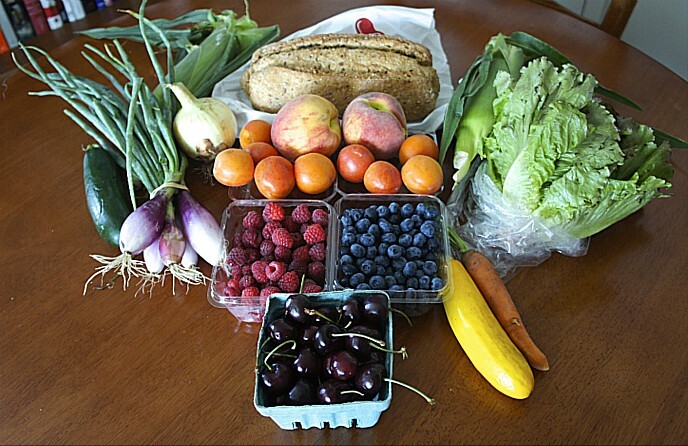 KitcheNet: Delivers fresh and cheap produce to community hubs on Chicago’s South Side from its flagship hub at Kennedy-King College. Kombuchade: Organic, continuously brewed kombucha designed as an alternative to sugary sports drinks. LaGrow Beer Co.: Organic farm-to-bottle craft beer produced using Midwestern hops. Within/Without: Company committed to mindfulness, whose snacks are crafted without processed ingredients and the junk that clouds the voice within. Flùr and Here — in addition to their participation in the Financing Fair and GFA Showcase — will be providing delicious breakfast treats. Here will be providing goodies for the end-of-conference Networking Reception, where LaGrow will be the craft beer sponsor. Accion: Helps communities grow by investing in people who build businesses and generate jobs, providing customized capital solutions and one-on-one coaching to underserved entrepreneurs in Illinois and Northwest Indiana. Black Rhino Investment Group: Provides professional excellence in executive, financial and operational support for all of clients through a holistic approach, experienced team and dedication to providing you with a customized plan. Colonial Funding Group: Brings pools of performing and non-performing assets to market and offers single assets for sale through its proprietary trading platform. Iroquois Valley Farms: A restorative farmland finance company providing land access to organic family farmers, with a focus on the next generation. Leaders Bank: Provides financial services you need to run your business effectively by offering customized solutions for business owners. McCarthy Duffy LLC: Law firm serving businesses and individuals in a variety of transactional and litigation matters. Pilotworks: Provides affordable state-of-the-art kitchen space, community and resources to startup food businesses. SLoFIG (Sustainable Local Food Investment Group): Network of accredited independent investors who share the mission of using private investment to re-establish a robust and sustainable food system across the Chicago foodshed. SPINS: Leading provider of retail consumer insights, analytics reporting and consulting services for the Natural, Organic and Specialty Products Industry. Tilia Holdings: Mission-driven private investment firm focused exclusively on building distinctive middle-market companies that provide outsourced technical services across the global food supply chain. Many early-stage businesses have prospered from the Financing Fair connections they made at earlier Good Food Financing & Innovation Conference events. One of them was Farmer’s Fridge, a Chicago-based company that is disrupting the vending machine industry with its custom-made fridges delivering delicious fresh salads and other items to consumers on the go. Farmer’s Fridge will be providing lunch at this year’s Financing & Innovation Conference. All this plus expert speakers and panelists across the Good Food business and investment sector. 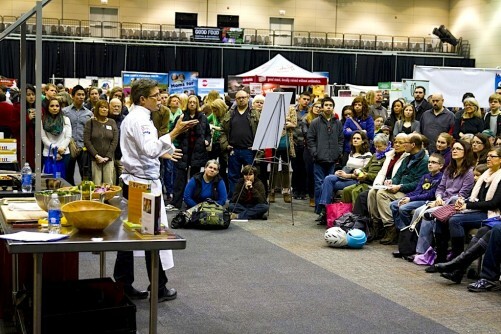 Don’t miss out on this once-a-year opportunity to engage with the fast-growing Good Food industry — buy your tickets now! This entry was posted in Uncategorized and tagged 'Laine's Bake Shop, Accion, Almondaire, Aloha Print Group, BareItAll Petfoods, Beanstalk LLC, Black Rhino Investment Group, Chutney Devis, Cocoa Corp, Colonial Funding Group, Cultured Love, Departure Snacks, FamilyFarmed, Farinata Project, Farmer's Fridge, Finger Lakes Fish, Flur, Fronen, Good Food Accelerator, Good Food Financing &Innovation Conference, Grani's Farm, Here Chicago, Iroquois Valley Farms, KitcheNet, Kombuchade, LaGrow Beer, Leaders Bank, Lil' Gourmets, McCarthy Duffy LLC, Moon Meals, No Denial Foods, Pilotworks, Ready To BRANDS, Sacred Serve, SLoFIG, SPINS, TeaSquares, Tempo, Tilia Holdings, Unicreamer, Verzenay Patisserie, Within/Without. Bookmark the permalink.